As a nonprofit who keeps our costs as low as possible for those we serve, we rely on volunteers to support our staff and programs. We can use volunteers to assist in our classroom, at summer camp, with our events and even with administrative tasks. We always need skilled volunteers who can bring experience with education, therapy or a medical background to work with our students/campers and staff. Additionally, we can work with high school and college students who need direct service hours, internship credit, or who want to pursue a career in education or therapy. If you are interested in volunteering with us, please take a few minutes to fill out the following survey of your interest and email Cristina at Charty@elliscenter.org. To keep up-to-date with upcoming volunteer opportunities at Ellis, request access to our private volunteer group on Facebook. Help with registration, set-up and break-down at our Spring Community Education Event. Volunteers receive a complimentary ticket to hear Dr. Roman-Lantzy discuss Cortical Vision Impairments. Email Cristina at charty@elliscenter.org to volunteer. 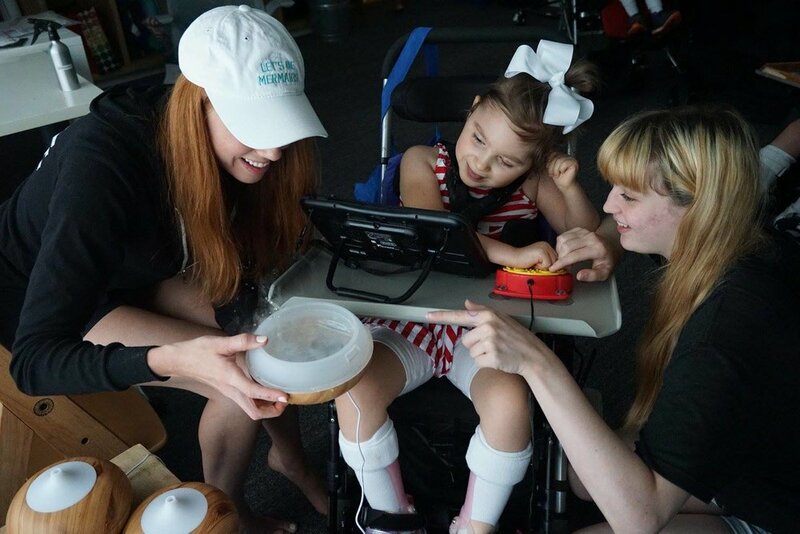 July 8th through July 12th, 2019: Give children with complex communication needs a memorable summer experience by volunteering at Camp ImpAACt. There are positions available to work directly with campers or as a general volunteer. Visit the Camp ImpAACt page for more information and to complete a volunteer form. Have a professional skill to offer? We love volunteers that want to join one of our board committees to assist us with event planning, marketing, project management, technology and much more!